According to the latest report from IHS iSuppli, the estimated cost of the Apple Watch components is equal to $81.20 and $83.70. The smaller 38mm version is obviously cheaper than the 42mm model, however, this difference is almost inconspicuous. Especially if to take into account the retail prices of the wearable device, which start at $350 for the entry-level model and end with about $17.000 for the high-end Edition version made of 18-karat gold. 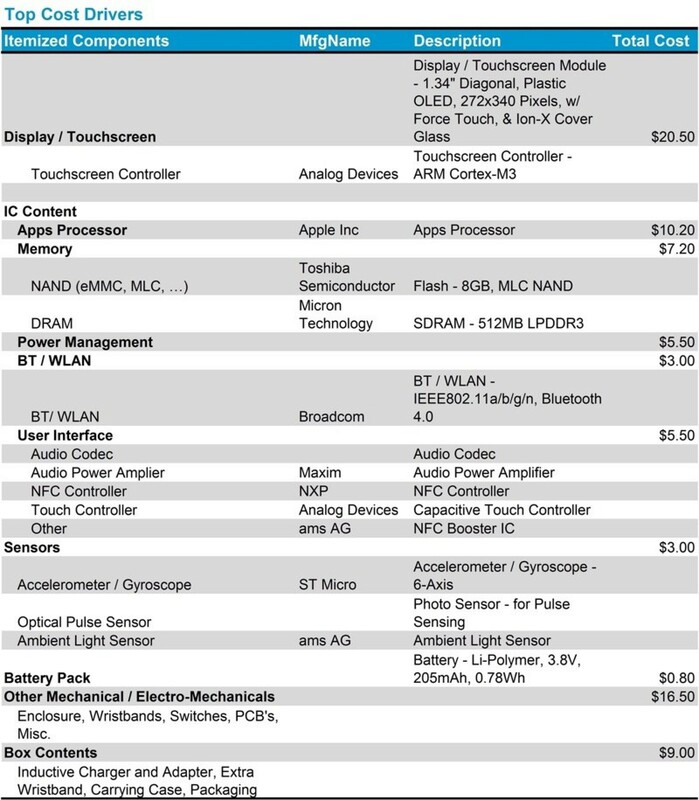 Below you may take a look at the chart showing the estimated cost of the Apple Watch components. 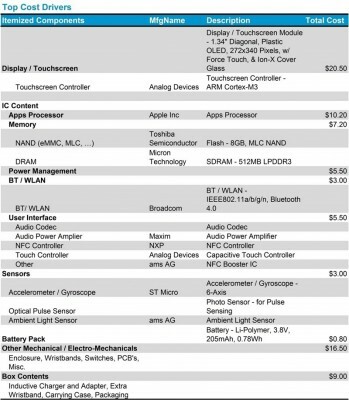 IHS iSuppli often tears down devices to estimate component costs, and today, the research firm released its report on the Apple Watch, suggesting it has the lowest hardware costs compared to retail price of any Apple product IHS has researched. The most expensive components of the smartwatch include its display, which is priced at $20.50 and the S1 SoC, which is priced at $10.20. What do you think about the retail price of the Apple Watch and its manufacturing cost? Leave your comments below.